It’s the War of 1812. The early days of the war are met with one failure after another. General Hull has surrendered an entire army to the British without inflicting a single casualty. After discussing the lack of Army leadership with the Secretary of War, President Madison decides he needs someone to be a mover and shaker. Jonah Lee fits that description. Once a trusted scout for General “Mad” Anthony Wayne, Jonah is a man of action. His first assignment as an agent for the President is to ensure the Northern American army under General William Harrison takes the fight to the British, pushing them back into Canada. And -if possible- do it before the winter sets in. The United States cannot afford a long protracted engagement. 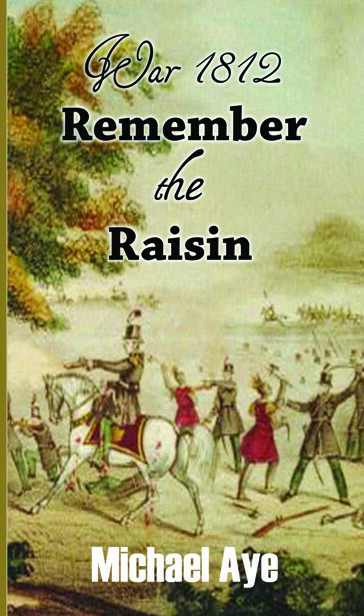 Follow Jonah and his lifelong companion Moses as they take you from the massacre at the River Raisin, to Commodore Perry’s great defeat of the British on the Great lakes and end with the overwhelming British defeat at the battle of the Thames. Experience the hardships of war, smell the battle smoke as cannons roar and feel the sensation of a beautiful woman in your arms. This action adventure is the first in the series War 1812 by Michael Aye, author of the Fighting Anthonys series. Coming in 2014 is the sixth volume of the Fighting Anthonys, and in 2015, the second book of War 1812.